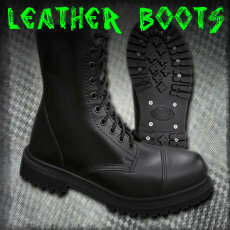 Made of real leather, covered with solid black technical leather. Famous English brand producing rebel shoes for almost 50 years. Practical, comfortable, quality design and style - appreciated by huge number of users and also by Guns and Roses band, Prodigy and others.